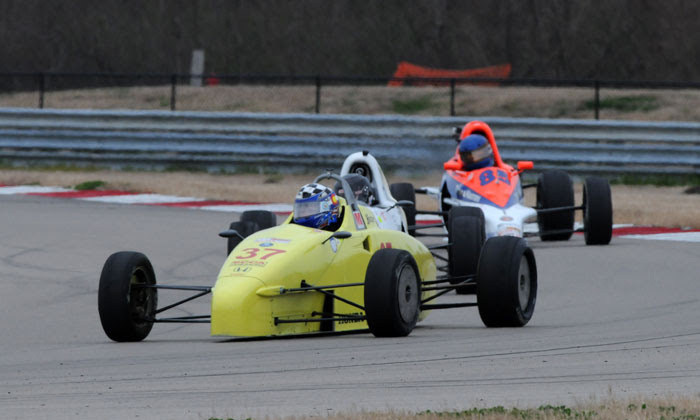 The SCCA Mid-States Conference Majors Tour had their second event and Rounds 3 and 4 of racing this past weekend at the relatively new NOLA Motorsports Park just outside of New Orleans, LA. The new facility opened for business late in 2011 and is already starting to attract attention from many of US racing leagues including INDYCAR. The opening rounds of the Mazda Road to Indy Winterfest are coming up next weekend at NOLA Motorsports Park. The venue is a perfect place for club racing, and the warm climate makes it possible to get an early start to the season and escape the still frozen Mid-West. Below are the Day 1 and Day 2 summaries from the event, but I have a brag about my fellow Kansas City Region members and our neighbors in the Kansas Region for just a moment. Formula 500 driver David Vincent took 5th overall and a class win in Saturday’s race. In Race #2 on Sunday, fellow KCRSCCA member Timothy Friest made up for Saturday’s disappointing P14 finish to take the class win in Formula 500 and fourth overall edging out David, who finished fifth overall, by a couple of seconds. Jesse Prather and Eric Prill of the Kansas Region finished P1 and P2 overall in the Group 5 races on both days. 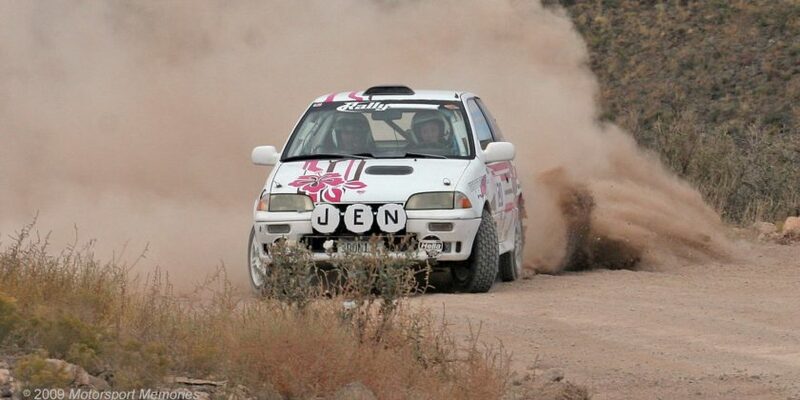 Both racers took wins in their classes, Jesse in EP and Eric in FP. In both races, Jesse’s margin of victory over Eric was measured in the hundredths of a second, 0.066 sec in Race #1 and 0.024 sec in Race #2! The biggest class of the weekend was Spec Racer Ford (SRF) sporting 25 entries. Chris Funk and Kelly Toombs represented the Kansas City Region admirably! In Race #1 on Saturday, Kelly finished in P7 and Chris ended up in P4, just a couple of seconds shy of the podium. Kelly fell back to P11 in Sunday’s Race #2, but Chris improved a spot to claim a podium finish. Congratulations to all! The next Super Tour race is coming up next month, March 21-23 down at Road Atlanta. AVONDALE, La. (February 8, 2014) – For the first time in the event, sunshine and warmer temperatures greeted SafeRacer SCCA Club Racing program participants on Saturday at the BFGoodrich Tires NOLA Super Tour at NOLA Motorsports Park, the opening round of the Mid-States Conference Majors Tour. Saturday’s races were 30-minute timed races in length, counting for full points and contingency for the season-long title. Race group one, featuring Formula F, Formula 500, and Formula Vee wasted no time cranking up the race action. Bill Kephart leads Livingston, Cunningham in Formula F.
In the battle for the overall lead, Bill Kephart’s No. 37 Vestial 10F/Honda started on pole and led through the start, relinquishing it on the opening lap to Wesley Cunningham’s No. 33 Over Fifty/MSR Houston/Honda Swift DB-6 for two corners before reclaiming the lead. Kephart led a swarm of Formula F machines, with the No. 10 Sportscar Performance Swift DB-6 of Meg Sauce and the No. 85 ThermaMasters Swift/Ford of David Livingston just behind. Sauce exited the battle on lap five, trying to move into second under braking in turn one. Sauce overshot the corner and ran wide, spinning trying to reenter the track. Now the top three, Kephart, Livingston and Cunningham got a breather on lap six when two Formula Vees came together and brought out the full course yellow. Kephart held the lead on the lap nine restart, but Livingston and Cunningham took turns challenging Kephart for the top spot. Working lap 13 and approaching the one to go board, the Formula F battle tangled at the entrance to the essses. Kephart emerged unscathed, but Cunningham was temporarily sent off track and Livingston slowed. Livingston closed four seconds to Kephart on the final lap, but ran out of time to challenge for the lead. The Formula Vee battle didn’t heat up until after the restart, when the lead that Chuck Hearn’s No. 48 Noble Racing/Hoosier Protoform P-2/VW had earned evaporated, and Steven Davis was ready to strike. Davis’ No. 80 Hoosier/Butler Engines Racer’s Wedge SB-1 chased Hearn through the last half of the race, pulling even or slightly in front at times, but unable to secure the lead for any length of time. On the last lap, with one opportunity left, Davis charged around Hearn under braking in Turn 13, moving in front and carrying the lead around the final carousel to the checkered flag. The Formula Atlantic race was a father and son battle between the elder Gaston Kearby’s No. 69 GK Motorsports/K-Hill Swift 016a and 16-year-old Conner Kearby’s No. No. 56 GK-Motorsports/K-Hill Swift 016a, out of Corpus Christie, Texas. Gaston took the lead from Conner on lap three, and then gave it back one lap later, with the youngster slowly pulling away. Conner held on up front to the checkered flag and the opening round victory. Just after a brief lunch break, Charlie Vehle defended the turf at the BFGoodrich Tire Super Tour, winning American Sedan in his BFGoodrich Tires-shod No. 50 Ford Mustang in dominating fashion. The rumbling GT-1 machines took the green flag, with David Fershtand’s No. 70 Fershtand Race Prepared Chevrolet Corvette taking the early lead from pole. Hot on Fershtand’s heels was the No. 199 Optech Jaguar XKR of Zach Monette, who took over the lead on lap four with a move in turn four. Monette held the lead until Fershtand moved back in front on lap seven. Monette gave chase until lap 15, when he pulled to pit lane to check out a potential mechanical issue. Monette’s crew send him back on the track, still in second place, but well back of the Fershtand’s win. Jesse Prather drove his No. 34 Jesse Prather Motorsports/Mazda Mazda MX-5 to the overall and E Production win, slowing down at the finish to cross the stripe side-by-side with friend and F Production winner Eric Prill’s No. 7 Super Max/Jesse Prather Motorsports/Hoosier Mazda Miata. Denny Stripling ran away and hid in the Spec Racer Ford race, taking a dominating victory in his No. 4 Lightspeed Motorsports machine. Just when it looked like the day would end with blowout wins in most groups, Spec Miata came through. Craig Berry’s No. 29 Berry Marble and Granite/East Street Racing Miata and Voytek Burdzy’s No. 4 Advanced Autoparts Mazda Miata worked around polesitter Tom Brown’s No. 27 Advanced Autoparts/Custom Wireless Miata on lap six, then inched away from a six-car battle for third to settle the lead amongst themselves. After a handful of swaps for the lead, Burdzy found himself in the front to start the final lap. Berry was able to close on a couple of occasions in the final circuit, but Burdzy hung on to grab the checkered flag. Each of the seven race groups hosting the 27 Runoffs-eligible classes return to the track for Sunday’s races, beginning at 9:40 a.m. (CST) following a 15-minute warm-up. Sunday’s races are 17 laps or 40 minutes, followed by victory laps and podium ceremonies. Live timing and lap notes are available on Sunday at SCCA.com/SCCALive. Results, grids and more information is available at SCCA.com/NOLAMajors. Avondale, La. 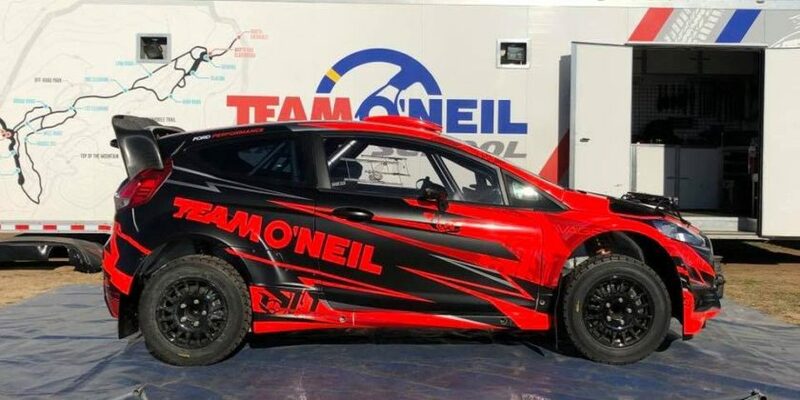 – Provisional race winners for Saturday’s BFGoodrich Tires NOLA Super Tour, Round One of the Mid-States Conference Majors Tour at NOLA Motorsports Park. Drivers are listed by Class: name, hometown, and car. AVONDALE, La. 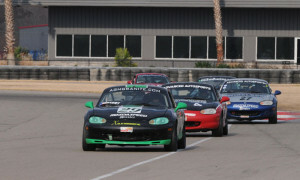 (February 9, 2014) – Round Two of the SCCA Mid-States Majors Tour closed with a thrilling Spec Miata race, capping a BFGoodrich Tires NOLA Super Tour weekend that ran to rave critical reviews. SafeRacer Club Racing drivers went out of their way to praise the NOLA Motorsports Park’s 16-turn, 2.75-mile circuit throughout the weekend, many here for the first time. Sunday’s schedule featured a full slate of 17-lap races. Formula F began the day in a race that no one seemed to want to win. David Livingston’s No. 85 ThermaMasters Swift/Ford spun in the race’s first corner and fell to the back of the field, but regained his composure and knocked off some fast laps and he aimed back to the front. Saturday winner Bill Kephart’s No. 37 Vestial 10F/Honda spun on lap six in a battle for the lead with Wesley Cunningham’s No. 33 Over Fifty/MSR Houston/Honda Swift DB-6, handing the lead to Cunningham. With no one around, Cunningham stretched his lead to as high as 11 seconds until, on lap 11, he spun and fell back to third. At that point, Livingston was back in front, ahead of Meg Sauce’s No. 10 Sportscar Performance Swift DB-6. Livingston and Sauce both spun again on lap 14, and just like that, Cunningham was back in front. With a second chance at the top spot, Cunningham pulled away to the checkered flag, followed by Kephart and Livingston on the podium. The Group Two race featured a fast and tight Formula Atlantic race that was derailed early when opening lap contact damaged the right rear suspension on Saturday winner Conner Kearby’s No. 56 GK-Motorsports/K-Hill Swift 016 and brought out a full course caution. Father Gaston Kearby took over the lead following the restart in the No. 69 GK Motorsports/K-Hill Swift 016a, but spent the last half of the race with his mirrors full of the No. 70 Martini/Coors Light Swift 014a. Cooper could close to the rear of Kearby’s car, but with no way around, had to settle for second by just 0.786-second. Darryl Wills swept the Formula Mazda weekend in the No. 1 Hillengburg Motorsports Formula Mazda, as did David Grant in Formula Continental (No. 59 Polestar Motor Racing Spectrum 014z), Jack Donnellan in Prototype 2 (No. 6 Kechi Energy Lola 598), and Tim Reinke in Formula Enterprises (No. 50 Formula Enterprises). Charlie Vehle got an early challenge in the American Sedan race, as the No. 57 CH4 Resources Ford Mustang of Thomas Hines won the drag race to turn one, and held the lead on the opening lap. Vehle’s No. 50 Ford Mustang moved back to the lead on lap two, and then cruised to an easy weekend sweep when Himes pulled off track with mechanical issues on the front straight. Matt Blehm moved his Super Touring Under-winning No. 48 Nissan 240SX around Cliff Ira’s Super Touring Lite-winning No. 36 Fira Motorsports Acura Integra late in the race for the overall second position, but neither driver was challenged in class on their way to weekend sweeps. Zach Monette resumed his rivalry with David Fershtand in the GT-1 race on Sunday, following a tight duel during Saturday’s race. Monette’s No. 199 Optech Jaguar XKR got the jump on the No. 70 Fershtand Race Prepared Chevrolet Corvette at the green flag, and moved into the lead. The two chased each other hard around the 2.75-mile circuit for 14 laps, with Monette in the lead. Heading into turn 13 on the lap 15, Fershtand braked very late, sliding to the inside and into the lead. With Monette still on his bumper, the pair made a fantastic – and brave – move through the esses at NOLA, which should be a one-line portion of the track. Both cars split a pair of GT-2 and GT-3 machines to make the move, and drove to the one-to-go board. On the last lap, Monette ran hard up the inside into turn one, but wasn’t close enough to make a pass. A similar move under braking in turn two was too much, and Monette’s Jaguar spun – giving Fershtand a free pass to the finish. Monette recovered to finish second. Stan Czacki moved his No. 00 Whitehead/DGI/SchaafAuto Acura RSX Type-S around Luis Rivera’s No. RPM Motorsports Mazda Miata at the start, and stayed there until lap six, when Rivera found his way around. That was a short lived arrangement, as Czacki was back in front a lap later. Czacki held on the rest of the way for the win. James Rogerson celebrated his birthday by running away from the H Production field in his No. 66 Hoosier/MSR Houston/Over 50 Motorsports Honda Civic, jumping away at the start and keeping in front of the field to the finish. On Saturday, Denny Stripling drove his No. 4 Lightspeed Motorsports Spec Racer Ford away to a blowout victory. On Sunday, Keith Verges was determined that wouldn’t happen. Verges did his part, moving away from the green flag in tandem with Stripling and taking the lead for the first time with a hard-braking maneuver in the No. 69 Apex Driving School SRF entering turn one. Stripling moved back in front in the back half of the course on lap 11, then watched it disappear again on lap 13 with yet another turn one pass. Verges wasn’t finished yet. For four laps, he kept the red and white machine of Stripling behind him, weaving through the twisty circuit but unable to break free. Verges was practically mistake free over the final laps, however, and stayed in front by 0.353-second at the finish. Berry leads his Spec Miata rivals at NOLA. Spec Miata was a four-car train in the last half of the race, left to be decided between Craig Berry’s No. 29 Berry Marble and Granite/East Street Racing Miata, Voytek Burdzy’s No. 4 Advanced Autoparts Mazda Miata, and the No. 51 Boots Transportation Miata when Tom Brown’s No. 27 Advanced Autoparts/Custom Wireless Miata experienced a mechanical issue on lap 14. Burdzy held the point on lap 16, protecting the inside into one as Berry looked for a way around. It didn’t work in turn one, but it set up a pass in turn three and gave Berry’s black and green machine the lead with one to go. Searching hard for an opening, Burdzy’s last shot at the win was under braking in turn 13. Burdzy locked up his brakes and couldn’t get close enough for a pass, with Berry, Burdzy and Ferranti crossing the stripe in order for the podium. The Mid-States Conference returns to action March 15-16 at Eagles Canyon Raceway in Decatur, Texas, with Rounds Three and Four of the 12 race season. Results and more information from the BFGoodrich Tires NOLA Super Tour from NOLA Motorsports Park is available at SCCA.com/NOLAMajors. Avondale, La. – Provisional race winners for Sunday’s BFGoodrich Tires NOLA Super Tour, Round Two of the Mid-States Conference Majors Tour at NOLA Motorsports Park. Drivers are listed by Class: name, hometown, and car.